Some masters of craft may work in paints, and others, wood. 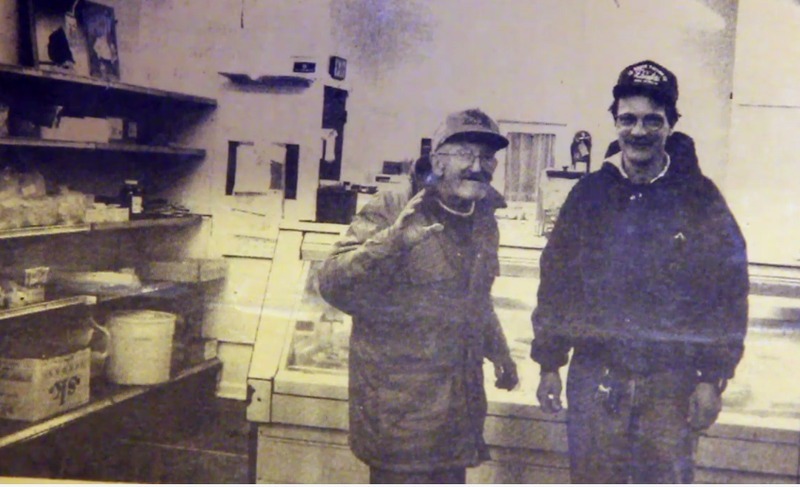 Frank Azman III, however, works in meats and has been doing so for the past four decades. An afternoon spent in Azman & Sons Market over a sausage sandwich reveals in one bite why the shop has been a staple of the neighborhood for generations. Similarly, customers who are greeted by first name upon arrival add to the charm of Azman's, harkening back to an era when businesses knew their customers personally and corner markets stood as epicenters of activity in communities. The Azman family first began working in the sausage business in the village of Ig, a small town in their native country of Slovenia. Frank Azman relocated his family and business to America during World War I, a period which saw the greatest recorded emigration of Slovenians to the United States in history. 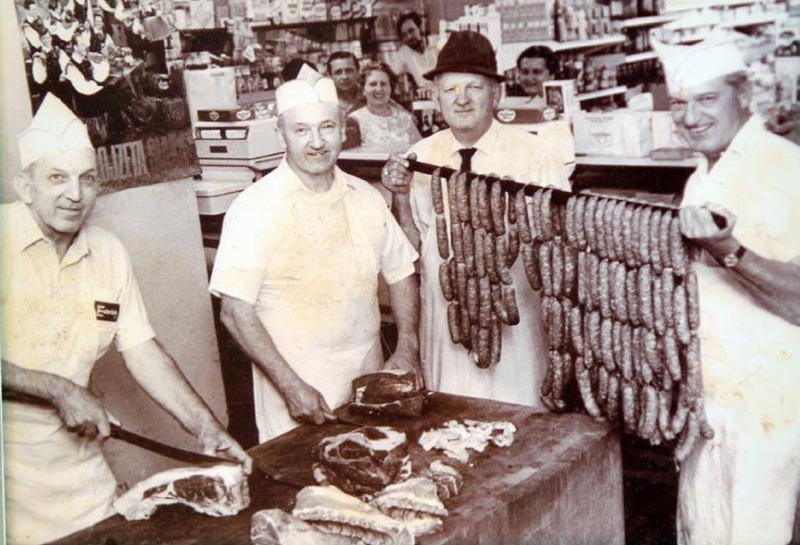 Settling in Cleveland, Azman reestablished his sausage shop in 1924 at 6501 St. Clair Avenue amidst the largest Slovenian community in the country. Nearly a century later, Azman & Sons Market still remains in the only location that housed the business stateside. Deepening their roots in area, in the early to mid twentieth century the Azman family also called 6501 St. Clair Avenue their personal home, taking up residence in the apartment located above the shop. As not only business owners but, also, residents, the Azman name quickly became recognizable in the St. Clair neighborhood and soon began to spread throughout the city of Cleveland. 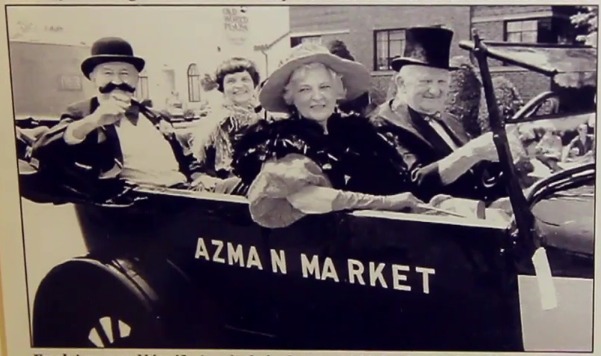 Proud of their community and eager to participate in local events, Azman son’s, Frank II and Louis, refurbished their father’s old Model T to be used in parades to promote Azman & Sons Market. During its arguably most memorable ride, a Miss World pageant winner once joined the Azmans in the Model T when she arrived late to an event and her scheduled parade float had already set off. Besides assisting beauty pageant winners in times of distress, the Azman family is also known to help those looking for the familiarity of a home cooked meal. In 1968, a crew of Yugoslavian volunteer servicemen were docked in Cleveland and hoped to find a dinner reminiscent of their homeland. After sampling an Azman sausage at a local restaurant, the restauranteur contacted Azman & Sons Market to see if the servicemen could have some sausages to take with them upon their departure. Although already closed for the day, the shop was reopened and the crew was treated to more food for their journey. What has really kept Azman & Sons in business for over nine decades, though, is the family’s dedication to their local customer base and quality of their products. 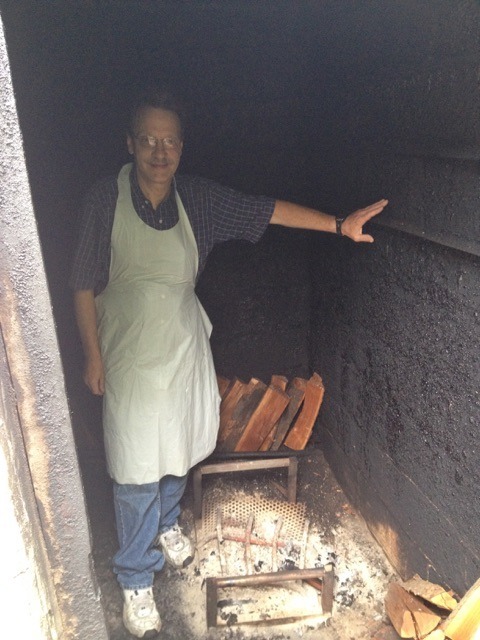 When asked what the most important ingredient to the Azman sausage recipe is, third generation owner Frank Azman III cites the original brick smokehouse without hesitation. 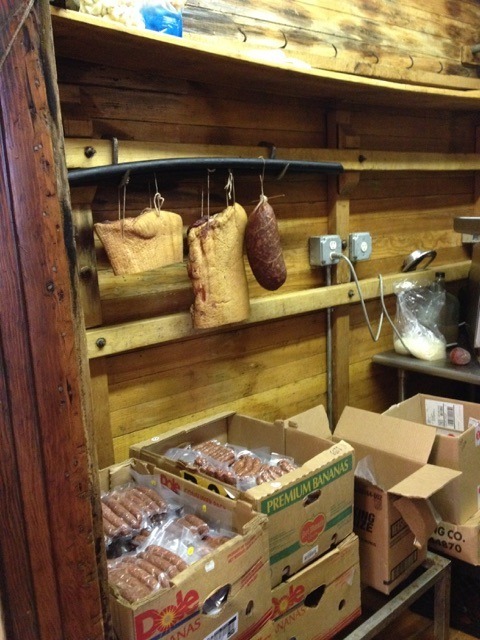 Located behind the shop, the small, unassuming brick structure has been smoking sausages since 1924. Modern day smokehouses are primarily stainless steel and Azman III argues that they cannot match the flavor of a sausage slowly smoked over cherry wood. 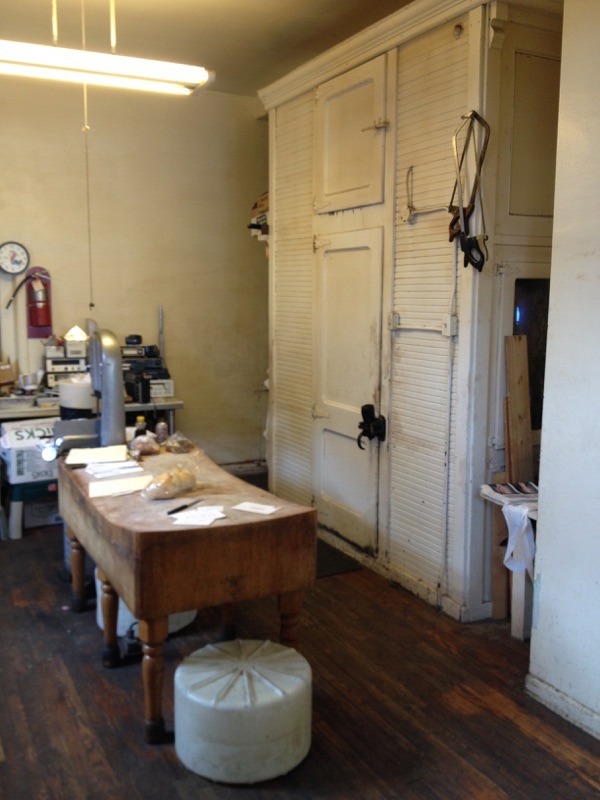 In addition to the smokehouse, the original butcher block table, now worn down by years of cleaning, still remains in the center of the kitchen. Likewise, the original cooler, first chilled by large overhead ice blocks but now electrified, remains as another operable piece of the shop’s longstanding history. 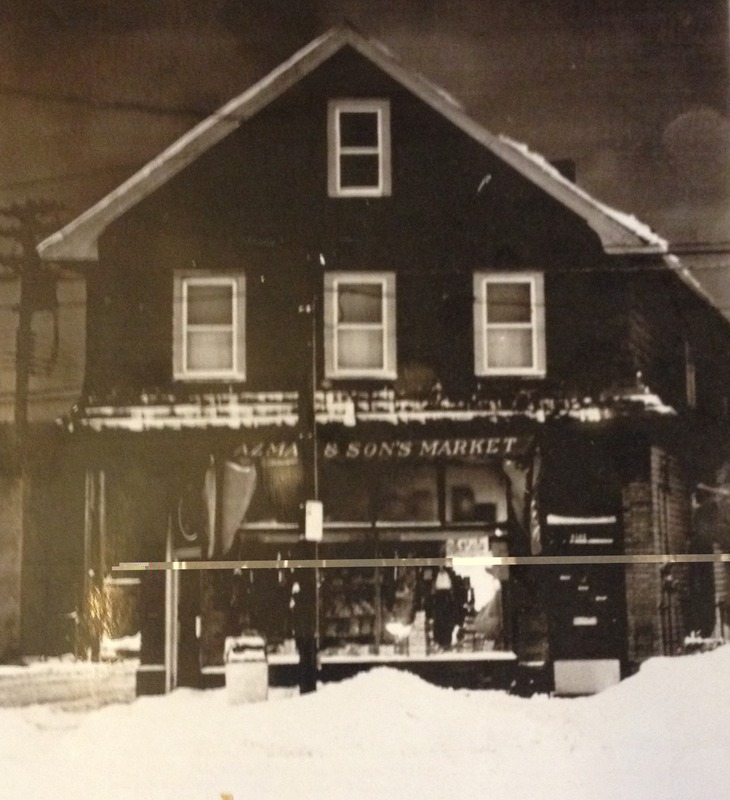 Azman & Sons Market once served the community as a full service grocery store offering patrons produce and pantry items in addition to the three hundred pounds of meat they would process and sell weekly. 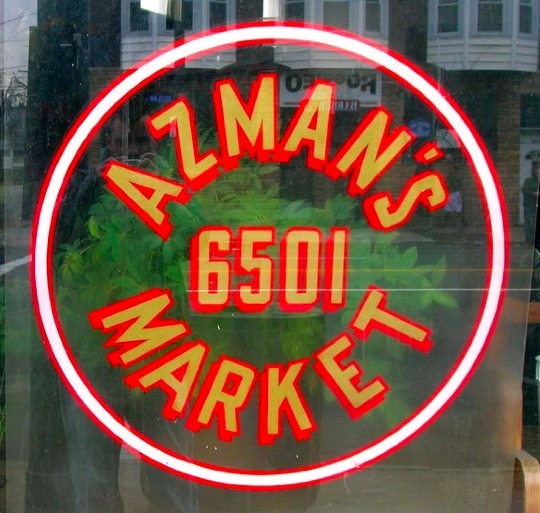 As the needs of the neighborhood changed, though, Azman & Sons Market scaled back their operations to focus on what they do best, smoked Slovenian sausage. Third-generation owner of Azman & Sons Market, Frank Azman III, describes what the market was like in its heyday. Third generation owner of Azman & Sons Market, Frank Azman III, tells how he prepares and cooks the meat used to create his Slovenian sausage. 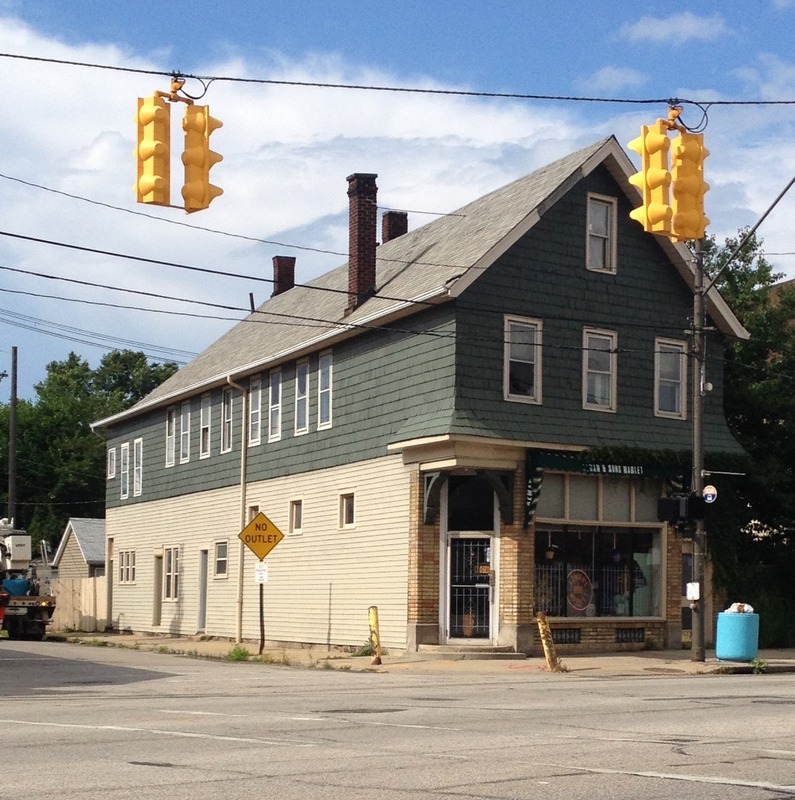 What Has Kept Azman & Sons Market in Cleveland? Third generation owner of Azman & Sons Market, Frank Azman III, discusses one of the reasons why the family owned business has remained in the city of Cleveland since 1924. Joe Dill , “Azman & Sons Market,” Cleveland Historical, accessed April 18, 2019, https://clevelandhistorical.org/items/show/720. Published on Jul 9, 2015. Last updated on May 10, 2017.